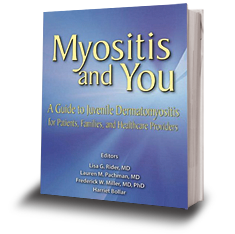 For more detailed and comprehensive information about JM, please read the book, Myositis and You. This book was funded by Cure JM Foundation and features over 450 pages with contributions from over 80 experts and medical professionals. 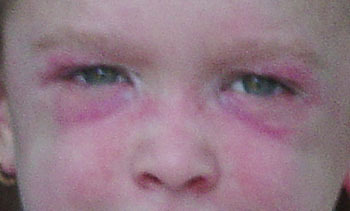 A skin rash is often one of the initial symptoms of Juvenile Dermatomyositis, preceding or accompanying a weakening of the stomach, neck, quadricep or bicep muscles.